Saveur magazine did it again. This recipe is straight out of their magazine with just some minor changes and so delicious. My health crazy boys loved it. Heat the oil and garlic in a 12 inch skillet. Cook the garlic till light golden brown but not dark. Stir the vinegar, red pepper, one tablespoon minced cooked garlic, salt and pepper in a bowl and set aside. I use the rest of cooked garlic and oil to cook the rice. Add the rice to the skillet with the oil and garlic and let it crisp on the bottom then stir it around and crisp up the other side. Place about 5 or 6 tablespoons of the rice on a plate. Drizzle with the vinegar sauce about 4 to 5 teaspoons on each serving. 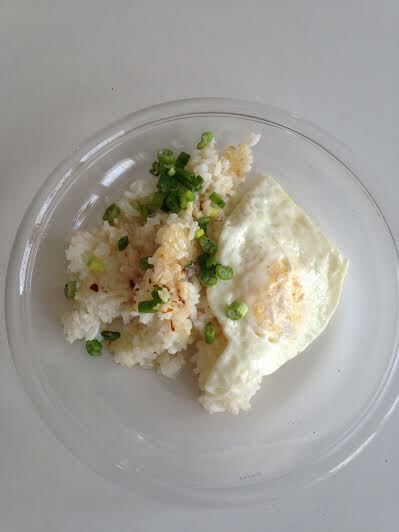 Add the fried egg and scallions on top of the rice. Serve more of the vinegar on the side. 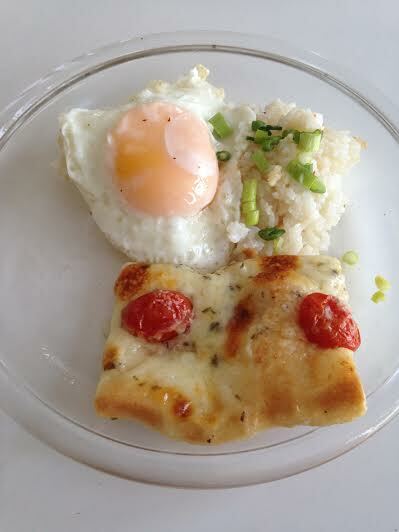 I had a brunch and served this with a baked ham, okra and pork potato pies.